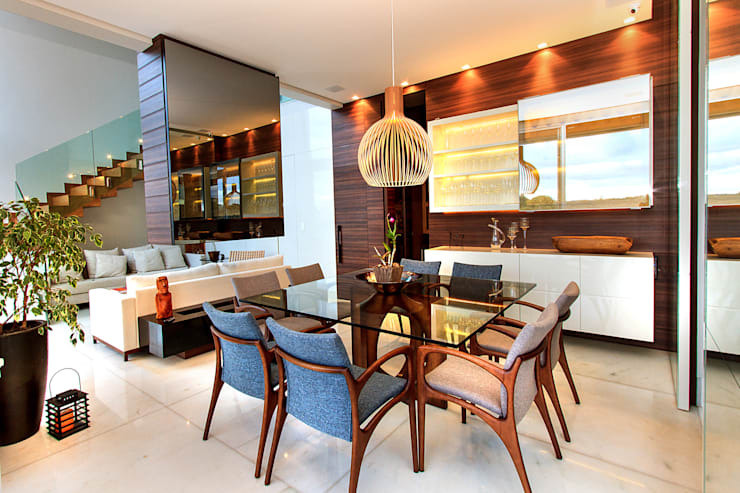 The dining room of one’s abode is a domestic area that can easily be designed, decorated and adorned to impress. As opposed to other interior spaces such as the bedroom or bathroom, the dining area is a well-frequented space that can be utilised as a gathering point, as well as a sophisticated formal eating area. 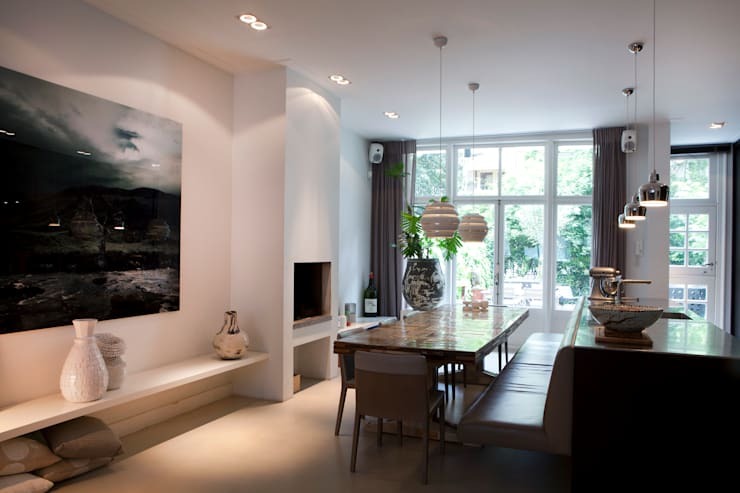 One commonly asked question is how to ensure the dining room impresses as well as functions in a practical way. Today on homify we are going to be taking a look at some domestic dining solutions, which will enhance your home, along with creating a remarkable and spectacularly stylish space. From the actual pieces of furniture, to adding artwork, lighting, and accessories, there exists a plethora of different design options and choices. Are you unsure what lighting to incorporate, or perhaps you need a little help maximising the effectiveness of a fireplace within the room? If you require a little inspiration, we’re here to offer some exciting and captivating examples. 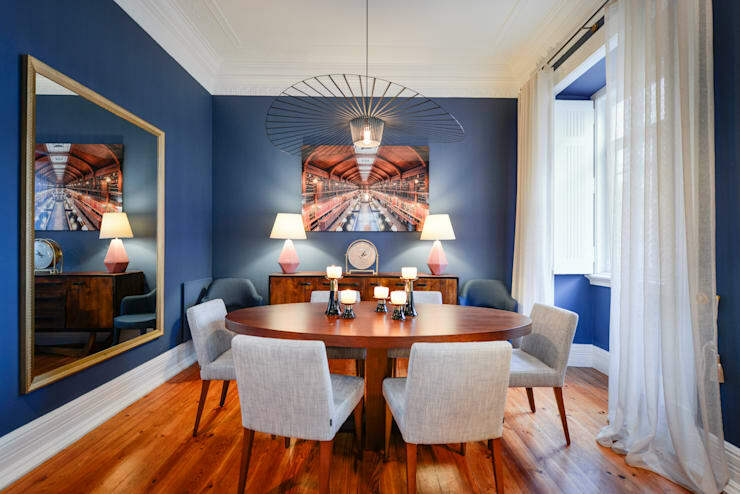 Check out the images below, and design your dining room with confidence, an inviting ambience, and an impressive aesthetic. Décor is a top priority when designing an impressive dining room. With a glut of differing opinions on how to adequately create an impressive space, the final design will essentially come down to personal preference. Eclectic, refined, minimalist, or maximalist, the choice is yours. Pick a cohesive design, and work towards evoking the aesthetic that inspires you. For a little inspiration, check out this example. 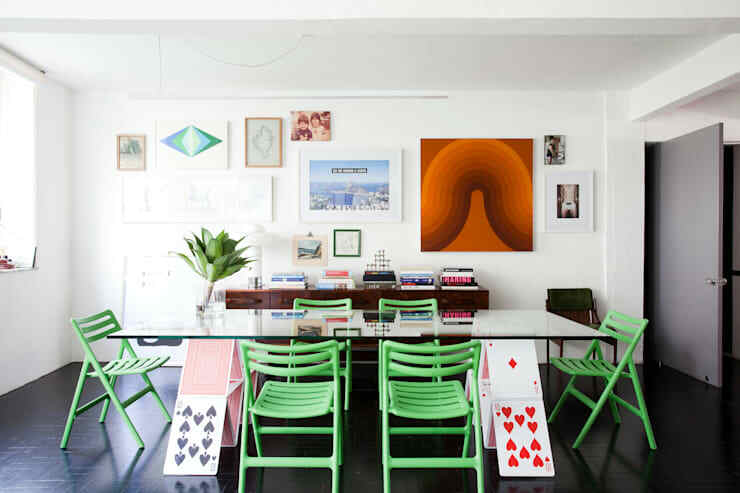 The table is unique, and paired with bright green chairs. The glass top imparts elegance, while the range of contemporary and retro art sits upon the walls, adding a colourful originality. Pick daring designs, indoor plants, bright hues, and watch your dining area transform into an impressive eating space. Lighting can really make or break a dining space. Too often individuals ignore the importance of smart and stylish illumination, only to create a room that evokes dull, dreary, and a thoroughly uninviting ambience. 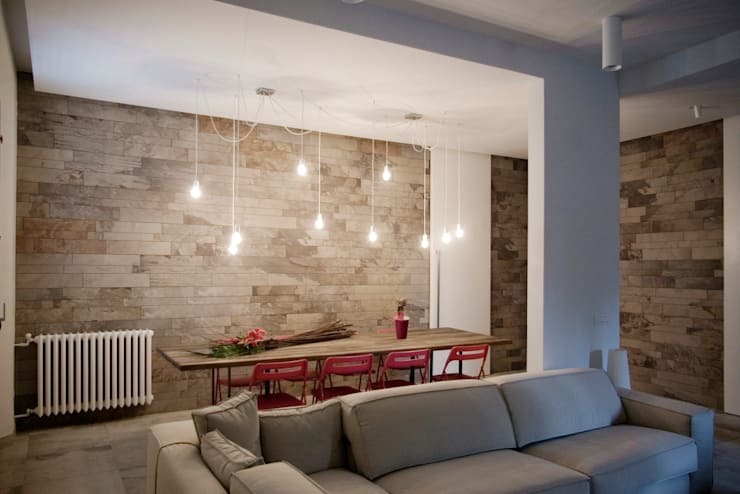 Luckily, if you are aiming for an impressive space, lighting will help you achieve your goal! Now, lighting comes in many shapes and forms, and with almost incalculable colours and patterns. For this reason, it is particularly important to make sure you understand the theme and vibe that you are attempting with your dining room design. As the lighting can have the largest impact within the domestic area, it is often a good idea to chat to a professional. This will ensure you get the style and vibe you are hoping to achieve. Next up we have the table. The largest item within a dining room, the table is the centrepiece of your area, and the one piece of furniture that can truly impart an impressive aura. Choose tables that evoke the ambience you desire. If you want a rustic space, go for large sturdy items, whereas if you want a chic or sleek room, choose elegant refined pieces. 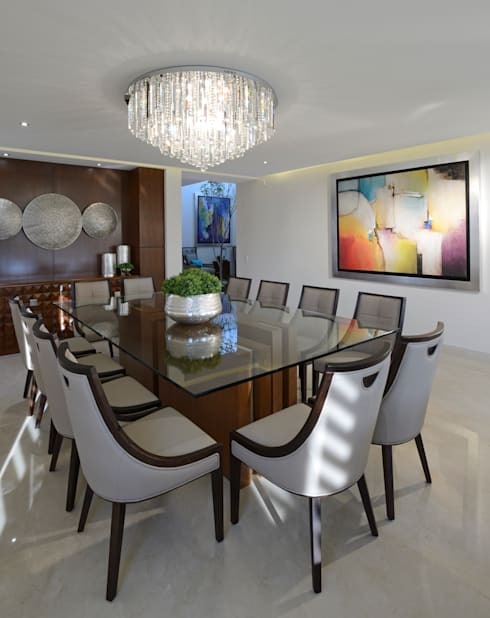 In this example we see a wonderfully impressive dining table. The glass top is elegant, sophisticated, as well as luxurious. The natural high gloss finish of the glazed top provides an immediate lavish overtone within the room, evocative of luxuriant 5-star spaces, and beautiful formal spaces. Coupled with the chandelier, this area is plush and sumptuous, without feeling at all tacky or gaudy. Let's not forget the chairs! Seats, along with the table, the décor and the lighting, are an essential part of the dining experience. Uncomfortable chairs, and you will be sure to create an uncomfortable dinner party and interior environment. Seating is a great way to impart a little presence and intensity. You may have a relatively neutral space, and the chairs are the perfect item to embolden and enhance the room. Think outside the box, get creative, and pick pieces that will impress as well as satisfy your guests need for comfort. In this example, mid-century modern chairs provide colour and a lively addition to the contemporary interior décor. Incorporating a fireplace is a fabulous way to make a statement within your home. Not simply a place to keep warm, the mantel is an ideal space to hang art, mirrors that make the space feel larger, and other intriguing objet d'art. Additionally, the fireplace can create an impressive area to gather and huddle during those windy or rainy nights. Tableware and accessories can transform a dull or uninspired space into an impressive and thoughtful area. To create an eye-catching dinner setting, the best thing you can do is carefully choose some bright, lively, or daring tableware. Alternatively, opulent finishes such as fine bone china, porcelain, and crystal can add a chic lavish quality to the interior space. 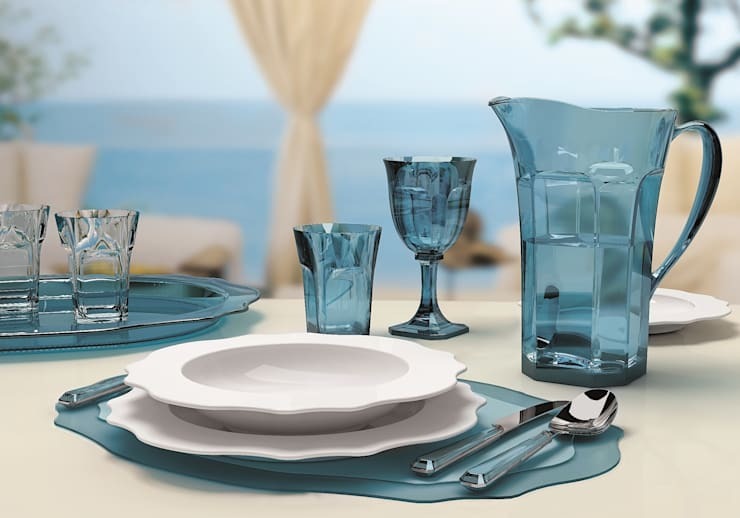 Consider purchasing or fashioning a stylish table setting to add an impressive elegance to your room. This can be especially helpful if you are unable to change the furniture or décor of you space due to budget or building constraints. Artwork is an easy addition that can immediately add an impressive feature to your dining room area. Whether you opt for traditional paintings, contemporary abstract imagery, or simple minimalistic adornments, you can guarantee your room will be enhanced. Art also allows the individual to impart a sense of unique individuality, personalising the area, and adding intrigue along with panache. Finally, yet no less importantly, we are taking a quick look at furniture. Dining room furniture can take many different forms, but in this instance we are speaking specifically about the items that include everything except the table and chairs. Consoles, sideboards, drinks cabinets, and bookshelves are all examples of furniture that can work brilliantly to add to the overall style and design of your space. 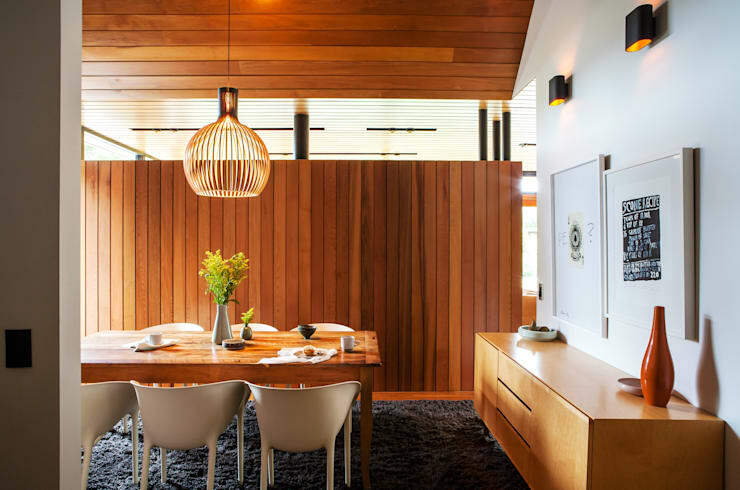 Within this dining room above we see a gorgeous timber-clad area that encompasses a console to finish off the design, and impart elegance and sophistication. This simple piece of furniture is able to impart an impressive sense of refinement, contributing to the sleek cohesive aesthetic. Do you have any other tips for our homify community? We'd love to hear any tips or tricks in the comments below!